A week of journeying by land and sea has yielded some great results as I continue to collect material for my forthcoming book on Wolves of the Pacific Northwest. I am tremendously grateful to Steve and Susanne Lawson for their invaluable assistance in my fieldwork here in Clayoquot Sound thus far! Stay tuned for more photos and stories to come! 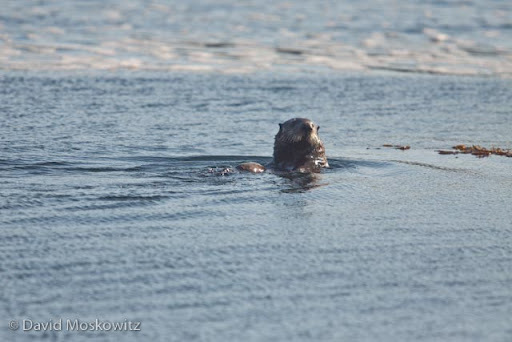 Sea Otter patrolling coastal waters north of Ucluelet. The return of extensive bull kelp forests along the northern Pacific coast has been associated with rebounding Sea otter populations, a classic example of a trophic cascade. Bull kelp was released from heavy browsing pressure by sea urchins with the return of otters which love to eat urchins. Guess the beach brings out the playful side of more than just juvenial people. 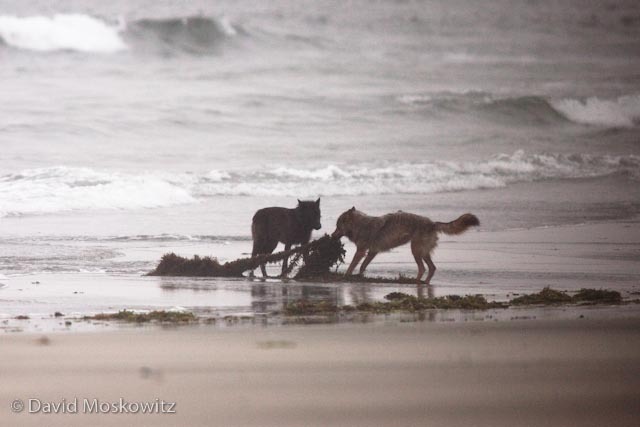 Here two yearling wolves play with washed up seaweed on an island in Clayoquot Sound. 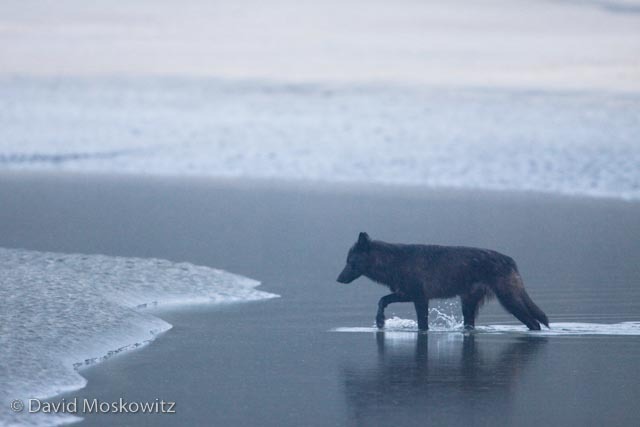 Wolf crossing a lead of water at first light. We watched this randy male black bear following a smaller female bear earnestly, stopping only to rub vigorous on a large drift wood log, a behavior which increases during the breeding season. 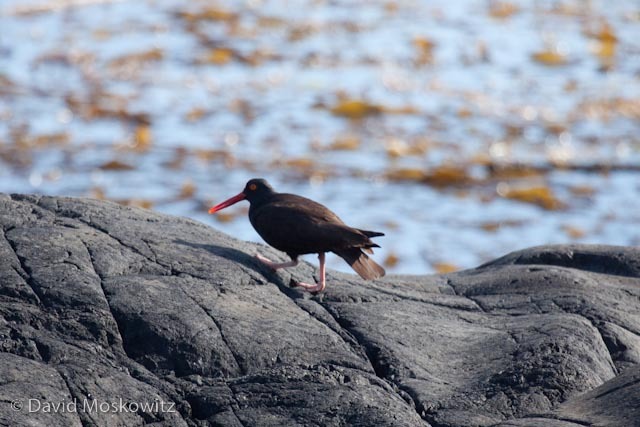 Oystercatchers are one of the most common shorebirds in the Sound this time of year.